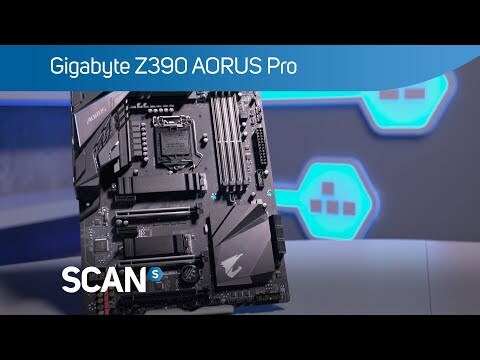 DOMINATE THE FUTURE WITH AORUSThe ultimate gaming Z390 motherboard, GIGABYTES AORUS Pro is packed full of interesting and useful technology, ranging from audio, through performance and even customization. The AORUS Pro motherboard is reinforced with ultra-durable components on the memory and PCIe slot armour, and components such as top-end capacitors. The Z390 board’s customisation and its intuitive UI through the RGB Fusion app allows you to make your AORUS board your own. faster and undistorted current deliveryZ390 AORUS PRO uses very high performance thermal design by combining 2 heatsinks with Heatpipe, thick thermal pad, providing ultimate MOSFET cooling performance for enthusiasts, overclockers and gamers. INTERNET ACCELERATOR SOFTWAREIntel GbE LAN features cFosSpeed, a network traffic management application which helps to improve network latency and maintain low ping times to deliver better responsiveness in crowded LAN environments. Gigabyte motherboards also feature special anti-surge ICs that protect your motherboard, and your PC from any surge in power delivery that may occur, helping to ensure that your PC is equipped to deal with any potentially irregular and inconsistent power delivery. Gigabyte Z390 AORUS PRO, Intel Z390, S 1151, DDR4, SATA3, Dual M.2, 2-Way SLi/3-Way CrossFire, GbE, USB3.1 Gen2 A+C, ATX is rated 5.0 out of 5 by 1. Rated 5 out of 5 by TheMightyOAK from Awesome Mobo Bought this to go along with my 9700k and they play great together. With minimal BIOS tweaks, I was running at 5Ghz at all cores. Be warned, this model doesn't come with WiFi or bluetooth so I had to buy a Xbox wireless controller for my gamepad. After a few weeks of hard use, this board is rock solid. It allows me to run my Corsair Veneange RGB Pro memory (4x8GB) at 3600mhz with ease. This is the default speed for the memory but my previous board (ASUS) didn't like to run it at more than 3200Mhz Lots of fan connectors, RGB connectors and looks great too. Thinking about buying that motherboard and fitting in a Noctua NH-D14 CPU cooler. As the cooling tower is quite big, curious if this motherboard can accomodate it. Any chance for a confirmation, please? the cooler has lga 1151 mounting so should be fine, just make sure your ram isnt too tall as the cooler is 44mm off the board and could cause issues with taller ram, also make sure your case is tall enough (it is 160mm tall).